I got B+ model of the Raspberry Pi as christmas gift. Then I saw the size of the camera module, and I just had to go and buy one. 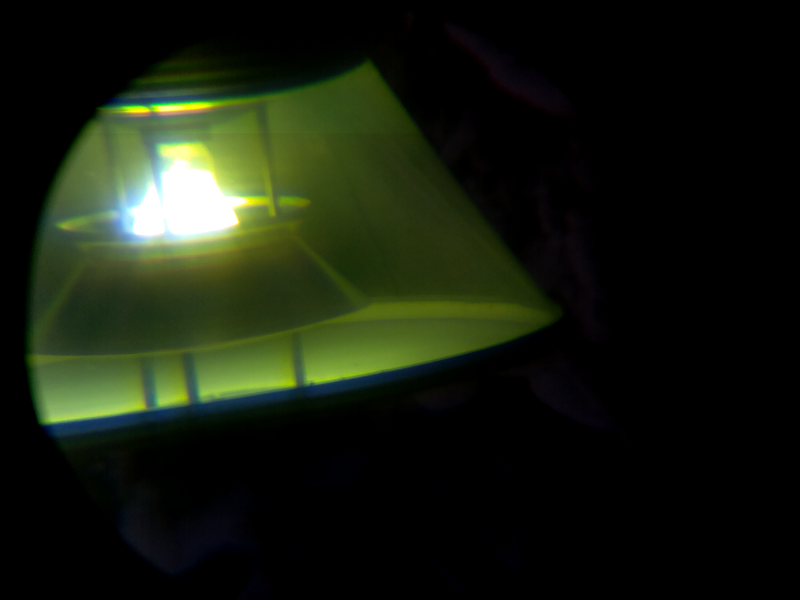 I have been testing different webcam and digital camera setups with my telescope, and this camera module seemed very promising. My goal is simple: take a photo on what you see through the eyepiece. It is using Afocal photography, where the camera is mounted over the eyepiece of an optical telescope, with the camera lens taking the place of the human eye. Unfortunately the wheather has not been suitable for taking sky photos, so I did first quick tests through a window (there might be some artifacts in the photos). 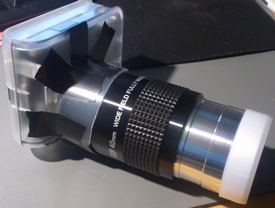 The picture below shows the camera support on top of the 1.25″ eyepiece. Only the power and LAN cables are connected to the Raspberry Pi. Create a bootable image on microSD. 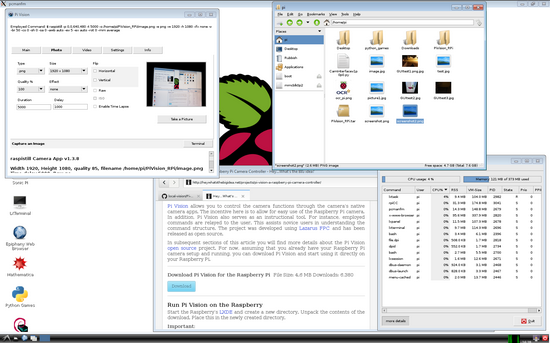 I used raspbian (Debian Linux) from downloads page. The instructions as also on that same page. Instructions for windows are here. Connect keyboard, mouse, LAN cable, and HDMI->VGA converter before connecting the power cable. One of the most important file is /boot/config.txt. The HDMI settings are defined there, so it is the first place to modify in order to get the display working. (Unless you have a monitor with HDMI.) The parameters are explained here. I used a HDMI-to-VGA converter as shown in the picture below. The same power source (max 2A) is used to provide power to Raspberry Pi and the converter. 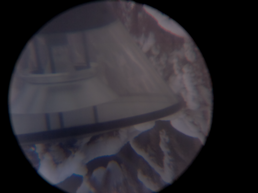 The photo also shows the 1.25″ zoom eyepiece modified to fit the camera. The camera is visible on the left, under the proof-of-concept mechanical support for the 2″ eyepiece. 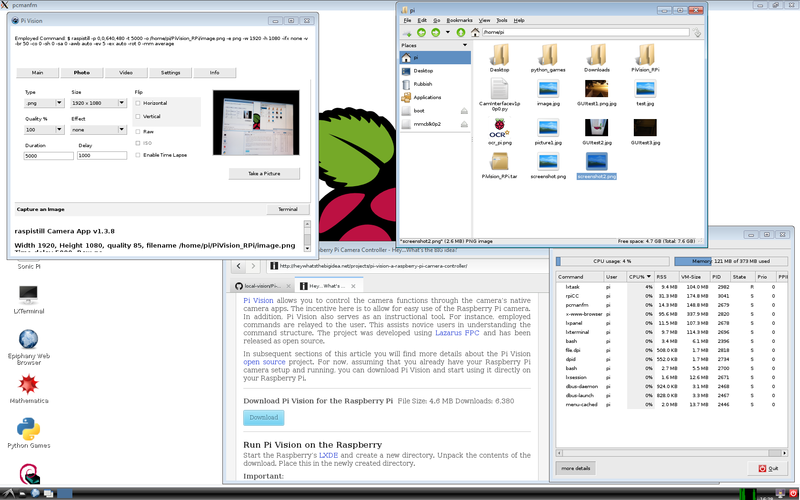 One can use command startx if having a monitor connected to HDMI and you are using RPI locally. One can use command lxsession if connecting over the network. I used Xming (with one window) and putty (ssh with XForwarding) on Windows. (DISPLAY and Xauth is taken care by putty). Alternative command openbox-session worked also. H264 videos can be converted with VLC. One can use WinSCP for transferring the picture and video files to Windows. One can follow example instructions here. I used this tool over the network to find a suitable camera position, and to mimimize vignetting. One can find the instructions for download and usage here. Please note that there is no need to install FPC or Lazarus. One can also use the command chmod u+x rpiCC to change the extracted file into executable. This tool is great and provides more options than the simple picamera example GUI. In addition it also shows the actual command line with parameters. I used this tool in order to see the parameters used, and then I moved to the command line versions since it provides more control. For the next attempt to take sky photos I will use the preview mode to find the right position for the camera. Unless if I find a good way to stream the video to another laptop, since I might need another laptop to find the “targets” with Stellarium. 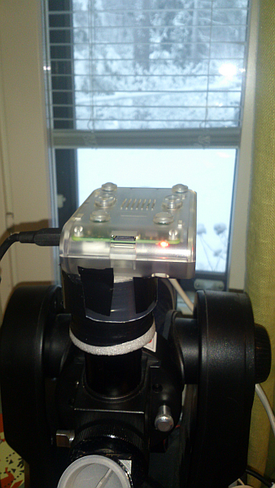 Another case where RPI camera has been used with telescope. 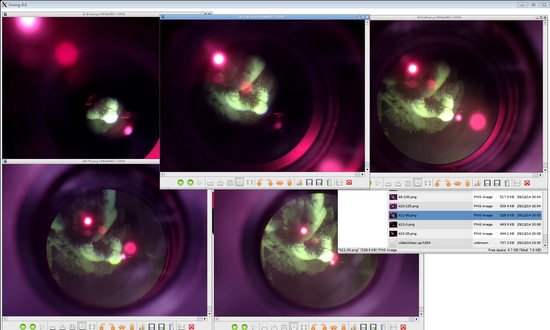 Another case where RPI is used to remote control the telescope. And another. Problems to get Stellarium working on RPI. This entry was posted in Anvanced Tools, Audio and Video, For Fun or Interest, Gadgets, Hobbies and Other Interests, Innovation and new tech, Raspberry Pi, Robotics, Tests. Bookmark the permalink.